One of the most visited national parks of the country is the Sariska National Park, which is situated at a close proximity from the heritage town of Alwar in Rajasthan. Located at a distance of 202 km from Delhi, this national park is spread across a vast area of 800 odd sq km under the watchful eyes of the Rajasthan Government. The sanctuary is divided into various divisions of deciduous forests, steep precipices, fields, etc. The place is also home to the ruins of ancient temples, which date back to the 11th century; along with it is a 17th-century fort atop a hill which offers breathtaking views of the surroundings amongst the vultures and eagles. Sariska is home to large number fauna which includes wild dog, jungle cat, jackal, leopard and tiger; the place also holds the distinction of being the first wildlife reserve to successfully relocate tigers. Best Time To Visit: Sariska is open to visitors from the months of October to June and remains closed for the remaining three months like most other national parks. Hence, the months from October to June are considered the best time to visit. By Air: The nearest major airport is the Jaipur Airport which is located at a distance of 110 km from here. The airport is well connected to major domestic airports across the country, such as Delhi, Bengaluru, Kolkata, etc. By Train: Alwar Junction is the nearest major railhead, which is located at a distance of 36 km from here. The station has regular trains, which connect to Delhi, Jaipur and other towns and cities across the country and the state of Rajasthan. By Road: One of the best ways to reach the place is by road, as the place is well connected by well-maintained roads and has regular bus services to the cities of Jaipur, Delhi, Ajmer, etc. The total driving distance from Delhi to Sariska is approximately 202 km; and, it would take you about 4 to 5 hours to reach the tiger reserve from Delhi. One can reach the place by taking the following routes from Delhi. Route 3: Delhi - Bahadurgarh - Jhajjar - Rewari - Kishangarh - Chikani - Alwar - Sariska via NH 352. 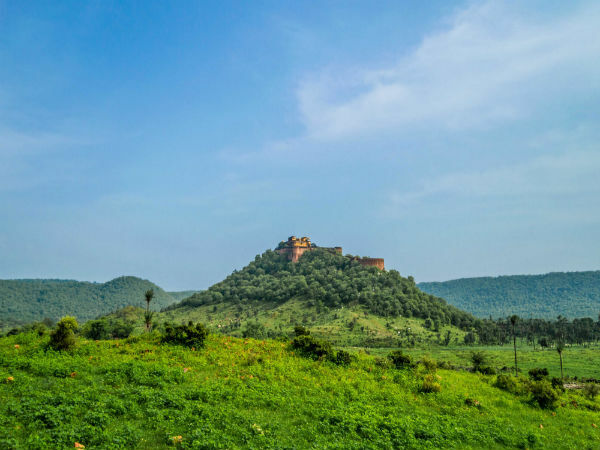 Located amidst the green surrounding of the Aravalli mountain ranges is the heritage town of Alwar, which is the abode of a large number of palaces and forts, which would transport you to a different era. Alwar is not only renowned for its heritage but also for its deep valleys and green surroundings, which are home to a wide range of flora and fauna. The place is one of the oldest cities in the state of Rajasthan, which has its mentions in the epic of Mahabharata as the place where the Pandavas spent their last year in exile. According to legends, the Kingdom of Viratnagar is said to have flourished here sometime between 1500 BC. The major attractions in Alwar is the Bala Quila, Alwar City Palace, Neemrana Fort, etc. The Sariska National Park encircles the lakes Siliserh and Jai Samand; both of them are abodes of crocodiles, water snakes and a number of other species. There are very few tourist attractions around the place apart from the charming national park which attract a large number of visitors who come in search of peace and for a dash of greenery and wildlife. One of the best ways to get to know the park is by going for the safari, which enables tourists to get close to the animals and to get a better understanding of their natural abode. The place was a hunting reserve to the royals of Alwar before being declared as a wildlife reserve in the year 1955 and as a tiger reserve in 1978, after including it in the Project Tiger. Later on, in the year 1982, it was declared as a national park. Inside its premises, one would come across an ancient shrine dedicated to Lord Shiva which is said to be built between the 6th and the 9th centuries. The shrine is located atop a hillock and can be reached only after you make your way through a steep track which is in a dilapidated state. Another attraction here is the isolated Kankwari Fort which was built by Jai Singh I, Aurangzeb is believed to have briefly imprisoned his brother Dara Shikoh here during the fight for the succession of the Mughal throne.